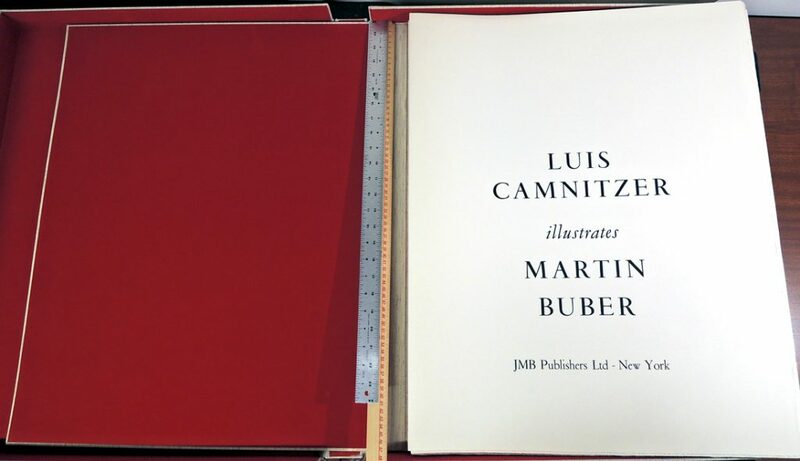 Luis Camnitzer and Martin Buber (1878-1965), Luis Camnitzer Illustrates Martin Buber (New York: JMB Publishers Ltd, 1970). 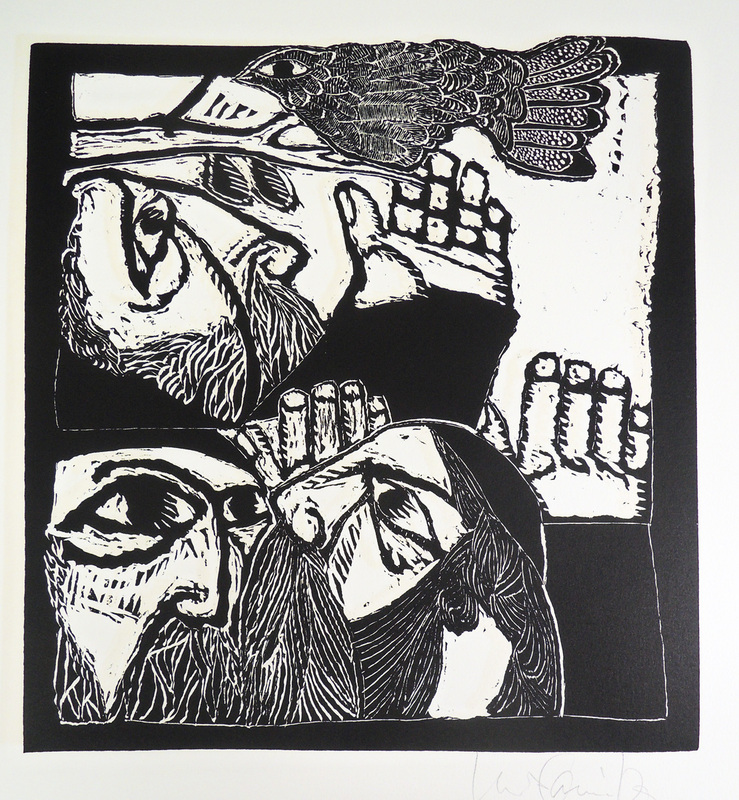 10 woodcuts printed at The New York Graphic Workshop. Graphic Arts Collection GAX 2016- in process. 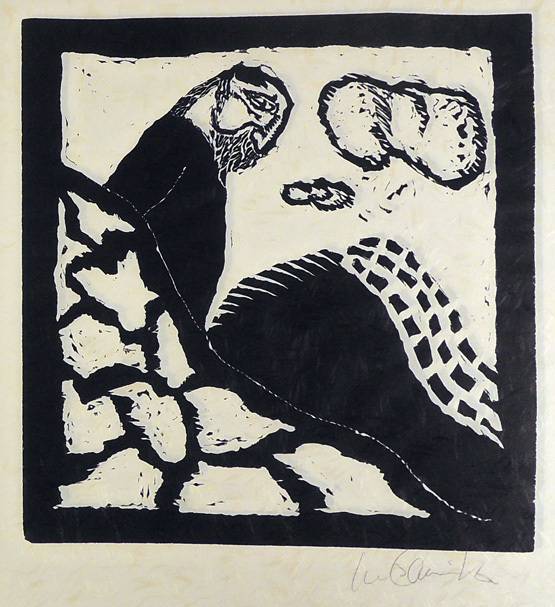 The Graphic Arts Collection is fortunate to have acquired Luis Camnitzer Illustrates Martin Buber, copy J, one of ten copies lettered A-J, each containing one original drawing by the artist and one double suite containing one suite of woodblock prints on Arches paper and one suite of woodblock prints on Natsume paper. 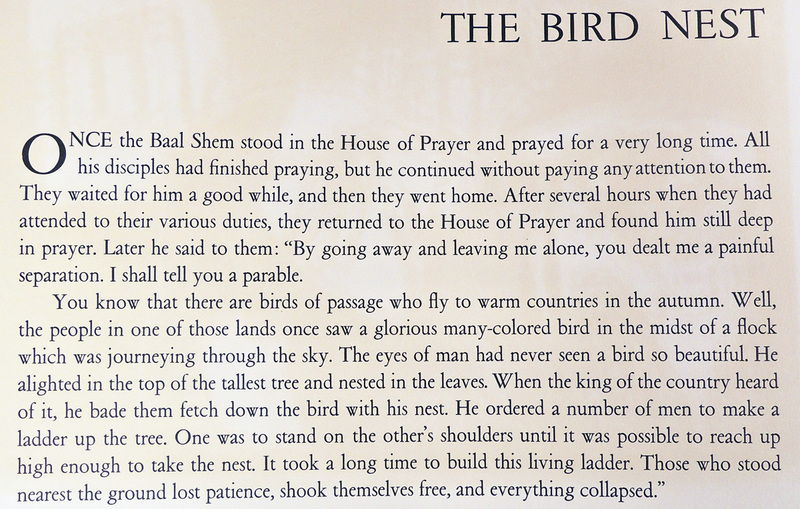 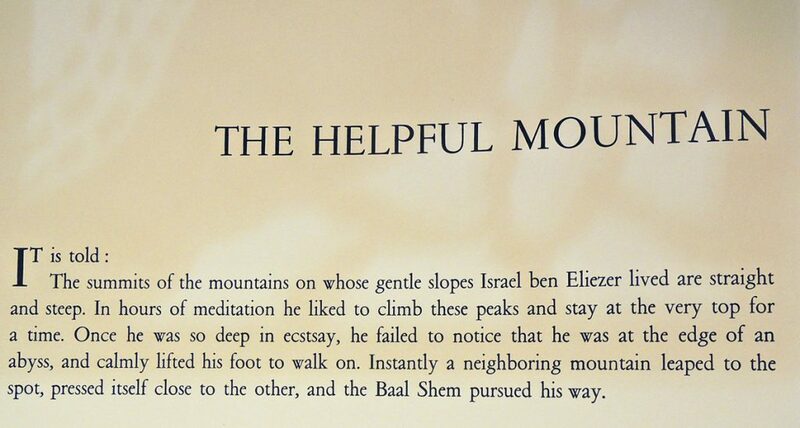 The portfolio includes ten folktales from the Hasidic Jewish tradition in Eastern Europe, selected by Camnitzer from the early masters section of Buber’s Die chassidischen Bücher as translated by Olga Marx. 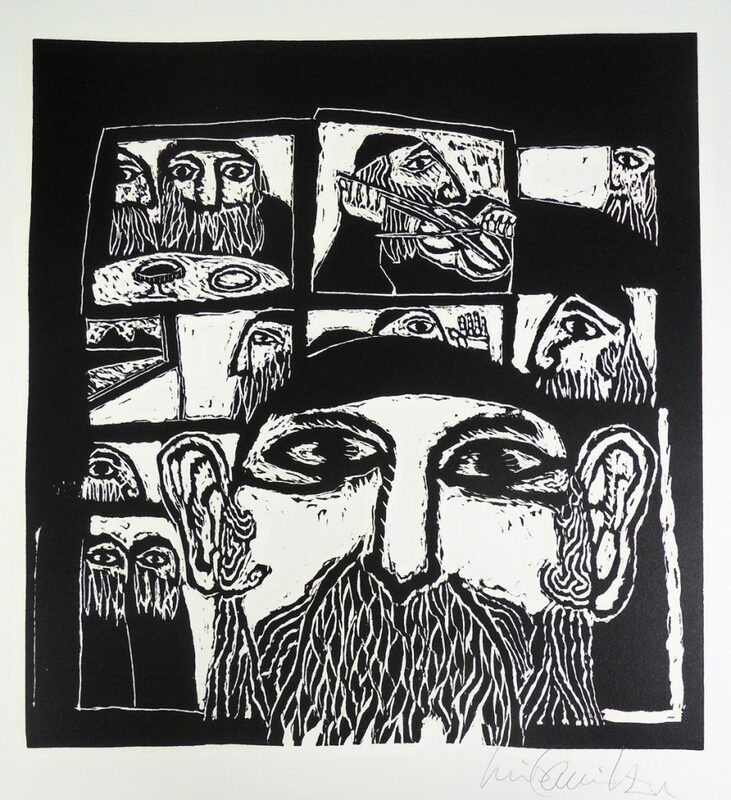 They are paired with ten woodcuts by Camnitzer titled: The Tap at the Window; The Helpful Mountain; The Deaf Man; How We Should Learn; Failure; Blessing of the Moon; To Say Torah and To Be Torah; The Mountain; The Bird Nest; and The Strong Thief. 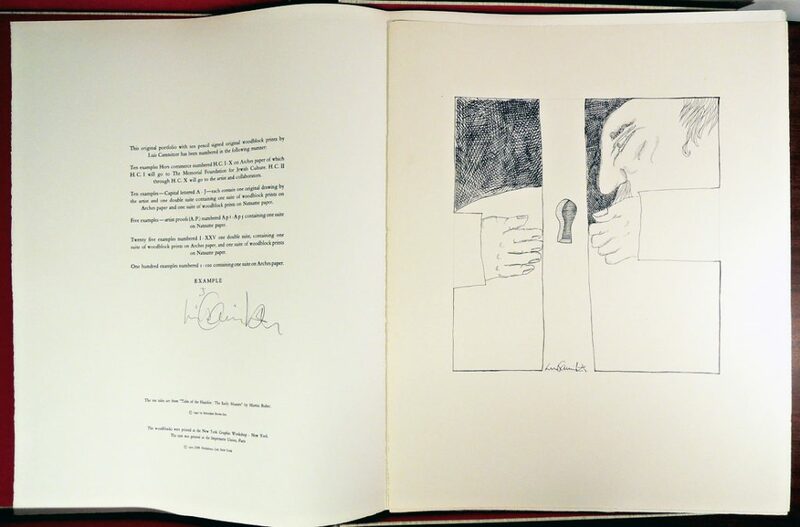 This entry was posted in Acquisitions, fine press editions, prints and drawings on September 27, 2016 by Julie Mellby.